Once at the hotel after getting the ticket for Saigon, Paco switched on the TV and saw an interview granted by Victoria Beckham to the famous British interviewer Michael Parkinson. Everybody knows Victoria, among other reasons because she is married to David Beckham, one of Paco's favourite football players, so he is really interested in what she says. Listen to part of the interview in the video above and answer the following questions. 1. Does Victoria agree that there is a rivalry between her and David? 2. According to Victoria, who was more famous when they became a couple, David or Victoria? 1. No, she doesn't. She thinks they complement each other. 2. According to Victoria, she was more famous than David Beckham right at the start. Would you like to have the whole part of the interview1? If you would, click here. 1 Taken from BBC Press Office. Here, you can find the first part of the interview to Victoria Beckham Paco watched. First, Michael asks Victoria what it was like attending Buckingham Palace to watch how David received the OBE from the Queen. "It was fantastic," says Victoria. "It was such a lovely day." When Michael asks Victoria whether she ever imagined she'd be inside Buckingham Palace, Victoria answers: "I didn't. "I didn't know what to expect. And then we turned up and there were so many people there. "Everybody had made such an effort, everybody dressed so lovely. Everyone was so excited. I was really choked. I almost cried. "But I do have one question – why does the Queen have a handbag when she's at home?" Moving on to recent rumours about the state of her marriage to David, Victoria is asked by Michael whether the stories are true. "You're getting divorced, aren't you?" asks Michael." Apparently so!" jokes Victoria. "For someone who should be doom and gloom I'm very happy," she continues. "Moving to Spain, we just got a house and we're getting settled. It's been great for us." "Where do these rumours come from?" questions Michael. "I think we have been built up for so long," Victoria says. "Everyone says we're the golden couple and that we are very happy, which we are – I mean, I love David and the boys more than anything in the world. And I think there are a lot of people who don’t like that." Read the passage carefully paying attention to direct and indirect sentences. OBE: Order of the British Empire. As you know, one of the questions in the PAU tests is strongly related to English grammar. 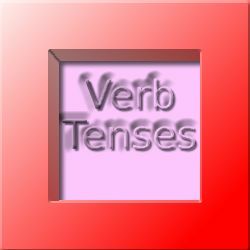 Apart from changes in verb tenses and other structures, you may be asked to turn sentences into the passive voice or the reported speech. Complete the following chart by turning the sentences into the reported or direct speech. "It was fantastic," said Victoria. "why does the Queen have a handbag when she's at home?" Michael asked Victoria what it was like attending Buckingham Palace. Michael asked Victoria whether she ever imagined she'd be inside Buckingham Palace. "You're getting divorced," Michael asked. "It's been great for us," Victoria admitted. "Everyone says we're the golden couple and that we are very happy", Victoria said. Victoria is asked by Michael whether the stories are true. "It was fantastic," said Victoria. Victoria said it had been fantastic. "Why does the Queen have a handbag when she's at home? ", Michael asked. Michael asked why the Queen had a handbag when she was at home. "What is attending Buckingham Palace like?" Michael asked. Michael asked Victoria what it was like attending Buckingham Palace. "Did you ever imagine you'd (would) be inside Buckingham Palace?" Michael asked. Michael asked Victoria whether she ever imagined she'd be inside Buckingham Palace. "You're getting divorced," Michael asked. Michael asked her if/whether they were getting divorced. "Where do these rumours come from?" questions Michael. Michael questioned her about where those rumours came from. "I think we have been built up for so long," Victoria says. Victoria thought they had been built up for so long. Victoria admitted it had been great for them. "Everyone says we're the golden couple and that we are very happy," Victoria said. Victoria said everyone said they were the golden couple and that they were very happy. "Are the stories true?" Michael wanted to know. Victoria is asked by Michael whether the stories are true. The other common questions in the PAU tests is related to tense and form changes. In it, you are asked to write one given-sentence from the text in a different tense and form. Let's go on practicing it! Write the following sentence in the forms and tenses asked in the chart: "Another section of the guide book dealt with Indian cuisine". Come on, it's easy! Write the following sentence in the forms and tenses asked in the chart: "Everybody had made such an effort". Come on, it's easy! Everybody was making such an effort. Didn't everybody make such an effort? Interrogative of the Present Continuous Is everybody making such an effort? Had everybody made such an effort? Everybody doesn't make such an effort.